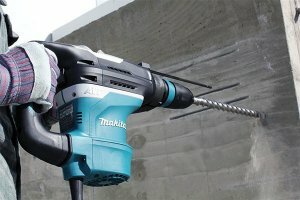 Similar to what we saw with the smaller 1-inch HR26 model, Makita uses a counterbalance to help cancel out the forces that cause vibrations. In this model the counterbalance system is an air actuated cylinder. They also use a damper spring at the base of the impact bolt, and a spring loaded handle; both of which also absorb and isolate vibrations. 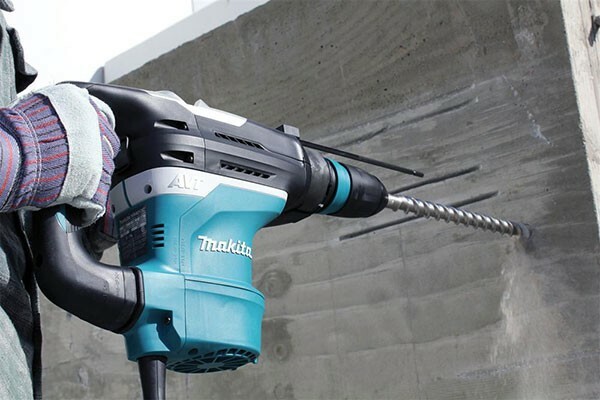 Features include a constant speed control that keeps the tool running at speed even under load, a soft start function, 2-mode hammering/rotation + hammering operation, and 24 bit angle settings.